According to Kazumasa Yokoyama sensei, the characteristic of Pinan Shodan is Meotode. Although Wado Kata are not the original, you can see the emphasis of Meotode in the first sequence as well as in Shuto Uke. It is called Pinan Shodan (first level) although it is practised usually second or third. Probably out of respect for Itosu sensei, Ohtsuka sensei did not change the name of the Kata. 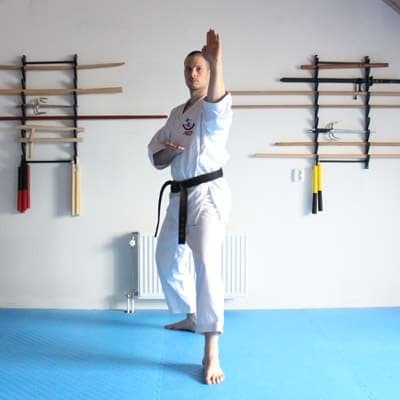 Due to it’s level of difficulty compared to Pinan Nidan and Pinan Sandan, it is often practised second or third depending on the Dojo you visit. In my Dojo, it is practised third and it is a requirement for 5th Kyu. This recording is from the 90s VHS from Sakagami Sensei. Originally shot for the DVD, I performed Pinan Shodan in 2015. Whether you are just learning the Kata or looking for specifics - it's easier to see in the slow performance. 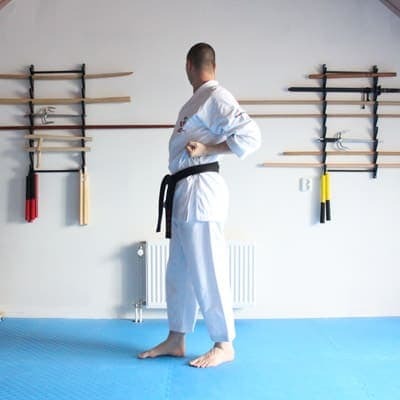 This walkthrough of Pinan Shodan is designed so you can get a clear picture in one go. It's 100% focused on the physical performance as it is. 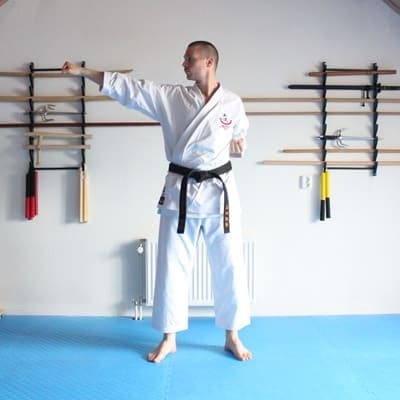 The transition between the first and second movement is a key point of Pinan Shodan. Key points always carry specific messages that cannot be found easily in other movements. The point is to be able to move the upper and lower section of the body independently from each other. As you close the upper body (squeeze), the lower body may not be affected. Don't destabilise your posture. Points to note are an intact Seichusen and the position of the right knee, which should be virtually unaffected by the movement. A common error is to collapse the right knee, as many also do in Naihanchi. The difficulty is to use these in unison so your performance becomes sharper, more stable and more efficient. I'll guide you step by step how to do this in the video. The quality of the second movement depends almost completely on your elbow and knee movement. Position your knees properly AND match your elbow movement with your stance and rotation - do that and the complicated internal movement will occur almost automatically. 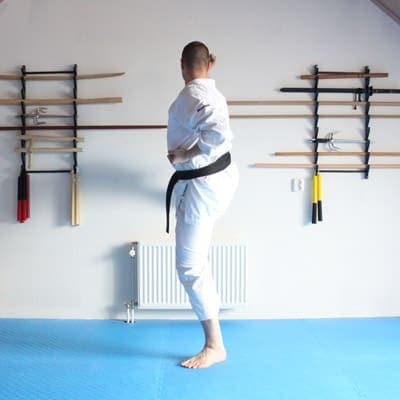 Something can be said for every movement or sequence, but the first Embusen of Pinan Shodan is a real winner. That contains SO MANY keys. Advanced use of the body, Meotode, control of Koshi. Sakagami Sensei demonstrates the fist embusen, shows Kaisetsu as well as Kata Ohyo. This application highlights elbow and shoulder movement. It's excellent to use as a sidestep and then come back to Kata training. How to use Jodan Uchi Uke and Chudan Otoshi Uke in case someone grabs you. Note how the use of the body counts and not the movement of the arms. Don't you think it's better to act before he actuall grabs you? Here's how to transform the movement to beat your opponent to the punch. This part from Pinan Shodan is not considered a key point, yet it contains many actions. It pays off to study this and practise this seperately - instead of only when you happen to perform the Kata in full. Positioning your foot is not a foot movement. It's Yokogeri and not Maegeri and here's how to do it. This sequence is rather odd if you look closely and compare it to other Kata. That's what makes it interesting too - because it's not just another Embusen that you can find in any other Kata. Especially the Nagasu element and change of centre line is an interesting concept to study. I vividly remember I got a eureka moment + goosebumps when I found out the key by myself as I got up from my chair. It was when I was writing Wado No Michi that I could not find the right words... So I decided to just go through the movements, think and feel how I could explain that best. And then: BOOM. Learning in Kata is in stages so the question always is... Do you want to move on to the next stage? 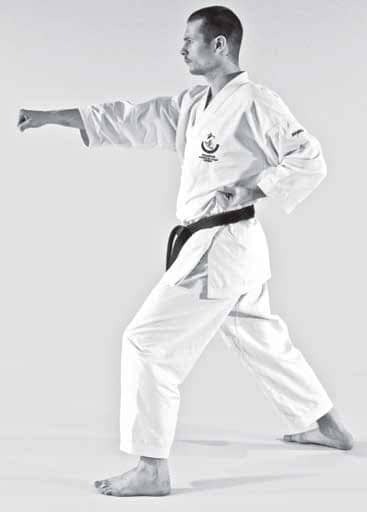 The first stage is to learn the directions, stances and techniques. Next is the finer points of the techniques and 'finally' understanding and applying the principle. This video covers all of them so... are you ready? 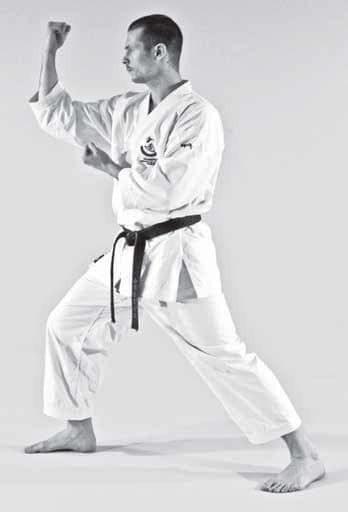 When it comes to applying Kata movement - look no further if you care to learn how Wado operates. Sakagami sensei shows Kaisetsu and moves on to introduce you to several Ippon Kumite that are fun AND effective. Hold Hikite, pull it back, drop it or..? What should your left and what should your right hand do? 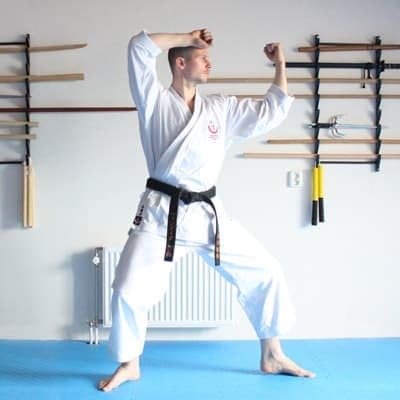 You can study kata looking at it from the perspective of training your body, from a martial principles point of view, from a self defence point of view or from a scientific or physics point of view minding about gravity and so on. There are many ways to look at Kata and devise Ohyo. Which one do I use most? 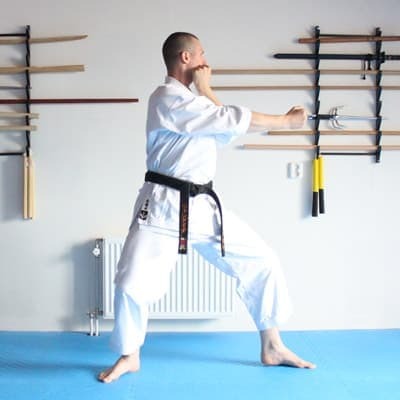 Compression and expansion is a theme that you can find throughout Pinan Shodan. In this video, which is recorded in my Dojo during class, I demonstrated how to use the way of producing power. Since my class has lower and higher grade students - you'll learn options as well to practise this at your level.